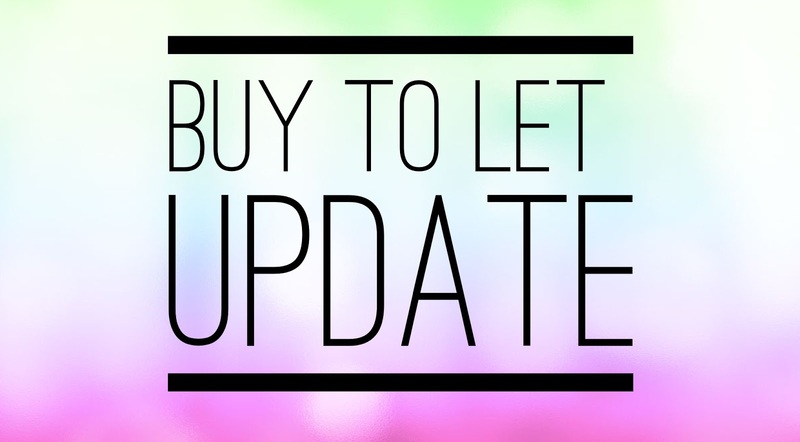 This blog follows the buy-to-let market in Canterbury and the surrounding area. You'll find tips, guidance, and analysis that relates specifically to Canterbury and you'll also find properties from all the estate agents in the town on here that may make decent investments. 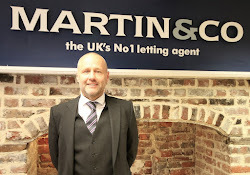 I operate Martin & Co in Canterbury and if you're thinking of buying a property to let in Canterbury, I'm happy to offer a second opinion. The Canterbury Property Market is a very interesting animal and has been particularly fascinating over the last 12 years when we consider what has happened to Canterbury rents and house prices. There’s currently much talk of what will happen to the rental property market following Brexit. To judge that, I believe we must look what happened in the 2008/9 credit crunch (and what has happened since) to judge rationale and methodically, the possible ramifications for long-term investors in the Canterbury property market. You see, an important, yet overlooked measure is the performance of rental income vs house prices (i.e. the resultant yields over time). In Canterbury (as for the rest of Great Britain), notwithstanding a slight drop in 2008 and 2009, property rentals have been gradually increasing. The income from rentals has been progressively increasing over the last 12 years. Today, they are 22.6% higher than they were at the beginning of 2005. In fact, over the last five years, the average growth has been 2.4% per annum. From a landlord’s point of view, increase in average rental income is not to be sneered at. However, the observant readers will be noting that we are ignoring an important factor – our friend inflation. 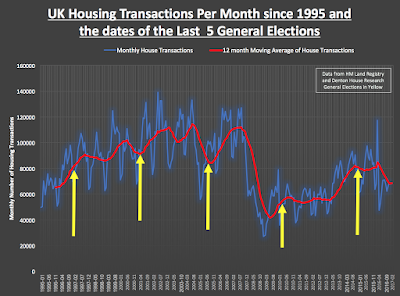 Turn the clock back to 2005, and we have a property being rented for say £900 a month and that is still being rented at £900 a month today, in Spring of 2017. While the landlord is not getting any less income, this £900 is no longer worth as much. Let me explain, in 2005, £900 may have bought a two-week 4* holiday in Italy. Yet, holidays have increased in line with inflation (which has been 38.5% since 2005), so our holiday would cost today £1,246 (£900 + 38.5% inflation = £1,246). Therefore, the landlord could no longer afford the same holiday, even though having the same amount in pound notes from their rental property. However, rental income is not the only way to generate money from property as property values can increase. Although in the short term, cash flows are diminishing, many Canterbury landlords may be content to accept that for a colossal increase in capital value. This equates to a reasonably salubrious 5.44% per annum increase over the last 12 years. 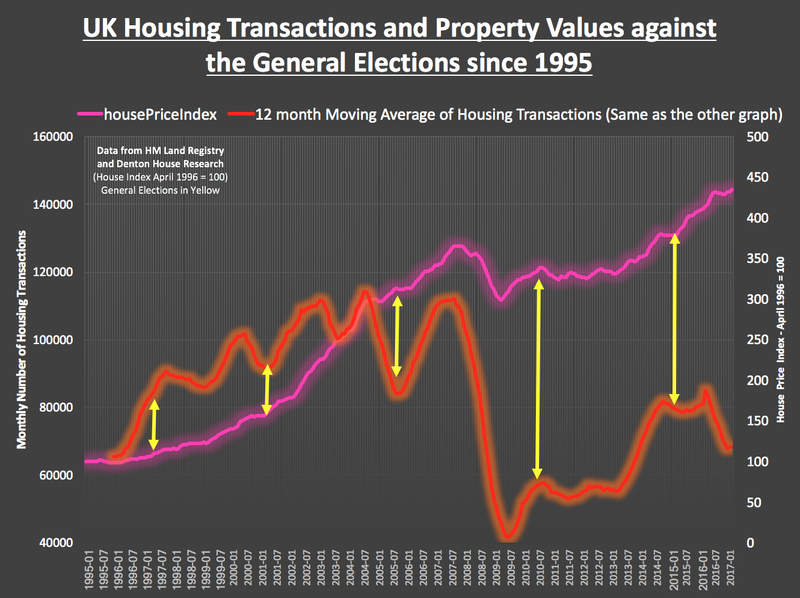 Even more interesting that this includes the 2008/9 property crash, this will make those Canterbury landlords and investors feel a little better about the information regarding rents after inflation. Moving forward, the prospects of making easy money on buy to let in Canterbury have diminished, when compared to 2005. Last decade, making money from buy to let was as easy as falling off a log – but not anymore. It would be true to say, my rental income versus property prices study does lead to noteworthy thoughts. I am often asked to look at my landlord’s rental portfolios, to ascertain the spread of their investment across their multiple properties. It’s all about judging whether what you have will meet your needs of the investment in the future. It’s the balance of capital growth and yield whilst diversifying this risk. If you are investing in the Canterbury property market, do your homework and do it well. While some yields may look attractive, there are properties in many areas that do not have the solid rudiments in place to sustain them. If you are looking for capital growth, you might be surprised where the hidden gems really are. Take advice, even ask your agent for a portfolio analysis like I offer my landlords. The clear majority of agents in Canterbury will be able to give a detailed analysis of past and anticipated investment opportunity (especially the awful effect of inflation) on your portfolio. However, if they can’t help – well, you know where I am, the kettle is on! A Canterbury homeowner emailed me last week, following my article posted in the Canterbury Property Blog about the change in attitude to renting by the youngsters of Canterbury and how they thought it was too expensive for first time buyers to buy in Canterbury. There can be no doubt that buy to let landlords have played their part in driving up property values in Canterbury (and the UK) and from that made housing a lot less affordable for the 20 and 30 somethings of Canterbury. In the email, they said they thought the plight of the first-time buyers in Canterbury was like a novice tennis player, playing tennis with Andy Murray. If you played him once you will unquestionably lose and if you were to play him 100 times you would lose 100 times. That is what they thought it was like for all the 20 something’s first time buyers of Canterbury going against all the buy to let landlords. They went on to ask if the Bank of England (BoE) should be tasked to control house price inflation in the same way as the BoE controls inflation. The BoE has a target for the annual inflation rate of the Consumer Prices Index of 2%, whilst it is also required to support the Government’s economic policy, including its objectives for growth and employment. So, should BoE be charged with containing buy to let housing market, by possibly changing the rules on the loan-to-value (LTV) ratio’s? So, let’s look at how affordable Canterbury is. The best measure of the affordability of housing is the ratio of Canterbury Property Prices to Canterbury Average Wages, (the higher the ratio, the less affordable properties are). (i.e. looking at the table below, for example in 2014, the average value of a Canterbury property was 9.02 times higher than the average annual wage in Canterbury). This deterioration in affordability of property in Canterbury over the last couple of years has been one of the reasons why the younger generation is deciding more and more to rent instead of buy their own house. ... but it’s not the only reason. It’s easy to look at the headlines and blame landlords. First time buyers have been able to access 95% LTV mortgages since 2010, meaning even today, a first-time buyer could purchase a 2 bed terraced in Canterbury for around £200,000 and only need to find £10,000 deposit. Yes, a lot of money, but first time buyers need to decide what is important to them. Either save up for a couple of years to save the deposit and go without two annual foreign holidays, the full Satellite or Cable TV package with Sports and Movies costing three figures a month, the latest mobile phone and out socialising ... or not as the case maybe? 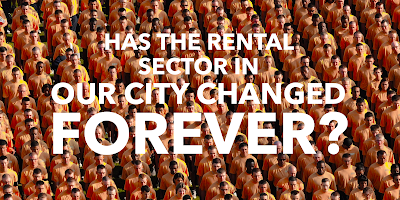 I think we as a Country have changed ... renting is returning to be the norm. So my opinion is, landlords have it tough. Let’s not blame them for the ‘perceived’ woes of the nation ... because to be frank … we haven’t always been a country of homeowners. Roll the clock back to 1964, and nationally, 30% of people rented their home from a private landlord – today – its only 15.3% nationally. If you are an existing landlord or someone thinking of become a first-time landlord looking for advice and opinion and what (or what not to buy in Canterbury) then please do get in touch. What will the General Election do to 9,236 Canterbury Homeowners? In Canterbury, of the 19,850 households, 5,148 homes are owned without a mortgage and 4,088 homes are owned by a mortgage. 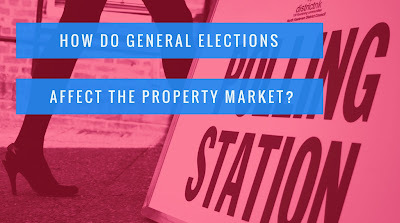 Many homeowners have made contact me with asking what the General Election will do the Canterbury property market? The best way to tell the future is to look at the past. So finally, what does this mean for the landlords of the 5,955 private rented properties in Canterbury? Well, as I have discussed in previous articles (and just as relevant for homeowners as well) property value growth in Canterbury will be more subdued in the coming few years for reasons other than the general election. The growth of rents has taken a slight hit in the last few months as there has been a slight over supply of rental property in Canterbury, making it imperative that Canterbury landlords are realistic with their market rents. But, in the long term, as the younger generation still choose to rent rather than buy ... the prospects, even with the changes in taxation, mean investing in buy-to-let still looks a good bet. By 2022, Canterbury rents will increase by 23%, whereas Canterbury property values will only grow by 16%. 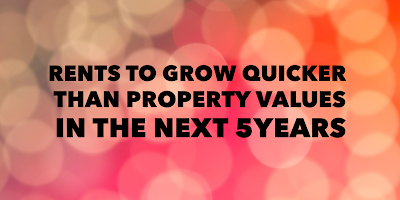 Over the last five years, property values in Canterbury have risen by 43% whilst rents have only risen by 9.4%. Throughout the last few years, and compounded in 2016, tenant demand for rental properties continued to go up whilst the Press predicted some landlords expect to reduce their portfolios in the next couple of years, meaning Canterbury tenants will have fewer properties to choose from, which will push rents higher. In fact, talking to fellow property professionals in Canterbury, there appears to be a shortage of new rental properties coming on to the Canterbury lettings market. With the challenges ahead, with the ‘B’ word (that’s budget if you wondered! ), house price inflation will be tempered over the coming five years in Canterbury. As I have discussed in previous articles, the number of properties on the market in Canterbury remains close to historic lows, which is both good as it keeps houses prices relatively stable, yet not so good as it impedes choice for buyers… and hence why I believe property values in Canterbury will only be 16% higher in five years’ time. These are interesting times. There is still money to be made in buy to let in Canterbury – Canterbury landlords will just need to be smarter and more savvy with their investments. If you are looking for such advice and opinion to help you meet those investment goals, please get in touch. 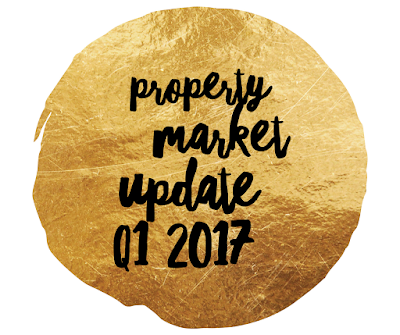 2017 has started with some positive interest in the Canterbury property market. Taking a snap shot of the Canterbury property market for the first quarter of 2017, the picture suggests some interesting trends when it comes to the number of properties available to buy, their asking prices and what prices properties are actually selling for. So when we add in building plots and other types of properties that don’t fit into the four main categories, that means there are 290 properties for sale today compared with 288 a year ago, a rise of 1%. Next, Canterbury asking prices, compared to last Spring, are 6% higher. With that in mind, I wanted to look at what property was actually selling for in Canterbury. 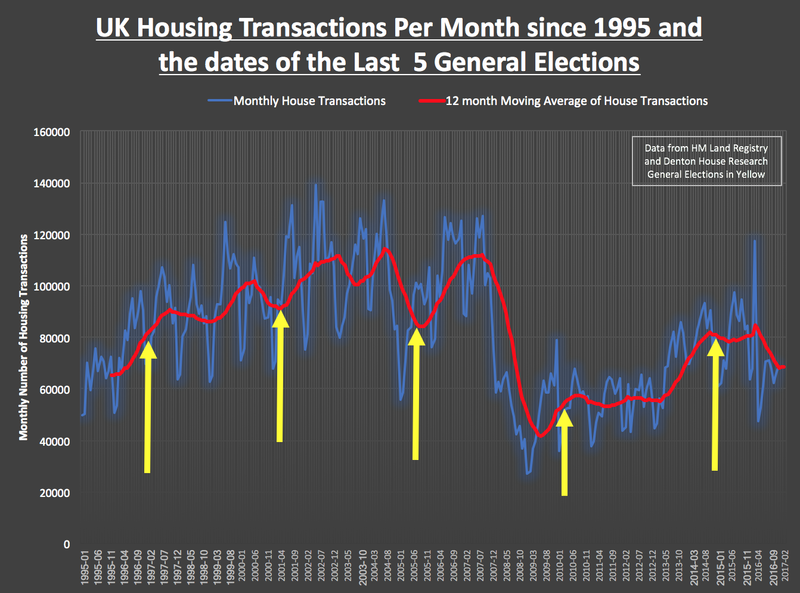 Taking my information from the Land Registry, the last available six months property transactions for CT1 show an interesting picture (note the Land Registry data is always a few months behind due to the nature of the house buying process and so November 2016 is latest set of data). The price shown is the average price paid and the number in brackets is the number of properties actually sold. So what does all this mean for the property owning folk of Canterbury? Well, with a similar number of properties on the market as a year ago and asking prices 6% higher, those trying to sell their property need to be mindful that buyers, be they first time buyers, buy to let landlords or people moving up the Canterbury property ladder, have much more price information about the Canterbury property market at their fingertips than ever before. Those Canterbury people who are looking to sell their property in 2017, need to be aware of the risks of over pricing their property when initially placing it on the market. Over the last 12 months, I have noticed the approach of a few Canterbury estate agents is to suggest an inflated asking price to encourage the homeowner and secure the property to sell on their books. The down side to this is that when offered to the market for the first time, buyers will realise it is overpriced and wont waste their time asking for a brochure. They won’t even view the property, let alone make an offer. So when the price is reduced a few months later, the property has become market stale and continues to be ignored. Whilst the Canterbury property-market has an unassailable demand for property – there is one saying that always rings true - as long as the property is being marketed at the right price it will sell. If you want to know if your Canterbury property is being marketed at the right price, send me a web link and I will give you my honest opinion. I hope you all had a lovely Easter weekend, only 11 days until the next bank holiday weekend! Today’s property caught my eye as I have often driven past the property on the way to work and have been intrigued by the unusual shape of the building. The property is located on Hollow Lane which is easy walking distance to Canterbury City Centre and also benefits from free on street parking. The property is currently rented as a student property with a potential yield of 6.08%. This is worked out on a monthly income of £1520.00pcm. From looking at the photos I would agree with the description that this is a high quality student let needing little to no work prior to renting it out. If you are interested in this property one thing to double check with the Estate agent Charles Bainbridge is if there is secure tenants until June 2018. Investing in Canterbury buy to let property is different from investing in the stock market or depositing your hard-earned cash in the Building Society. When you invest your money in the Building Society, this is considered by many as the safe option but the returns you can achieve are awfully low (the best 2-year bond rate from Nationwide is a whopping 0.75% a year!). Another investment is the Stock Market, which can give good returns, but unless you are on the phone every day to your Stockbroker, most people invest in stock market funds, making the investment quite hands off and one always has the feeling of not being in control. 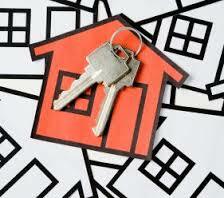 However, with buy to let, things can be more hands on. One of the things many landlords like is the tactile nature of property - the fact that you can touch the bricks and mortar. It is this factor that attracts many of Canterbury’s landlords – they are making their own decisions rather than entrusting them to city whizz kids in Canary Wharf playing roulette with their savings. I always say investing in property is a long-term game. When you invest in the property market, you can earn from your investment in two ways. When a property increases in value over time, this is known as ‘capital growth' which we know has been strong in recent times in Canterbury. The second way you can benefit is the rental income which will also grow over time. If you divide the annual rent into the value (or purchase price) of the property, this is your yield, or annual return. So, over the last 5 years, an average Canterbury property has risen by £91,050 (equivalent to £49.89 a day), taking it to a current average value of £339,800. 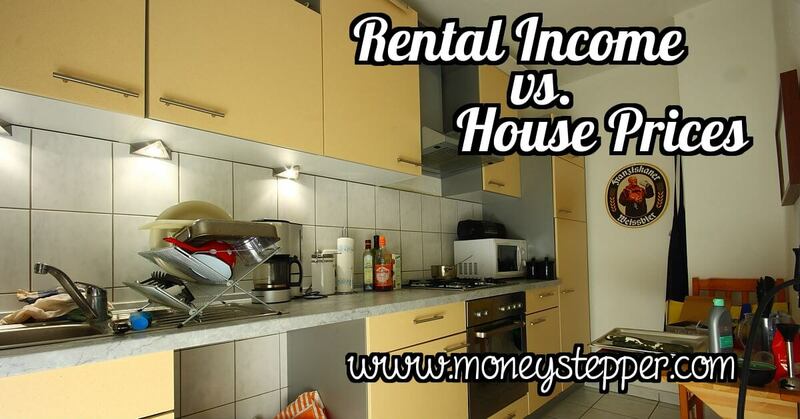 By adding this to the rental income that could be earned can easily see returns of 10% per annum which I think you will agree is substantially above the aforementioned 0.75%. This demonstrates how the Canterbury property market has not only provided very strong returns for the average investor over the last five years but how it has permitted a group of motivated buy to let Canterbury landlords and investors to become particularly wealthy. As my article mentioned a few weeks ago, more and more Canterbury people may be giving up on owning their own home and are instead accepting long term renting whilst buy to let lending continues to grow from strength to strength. If you want to know what (and what would not) make a decent buy to let property in Canterbury, then please get in touch. This week’s property is a smaller but perfectly located 1 bedroom apartment! The property is on the market with Miles and Barr and has been on the market since December 2016. The property is located just off Gordon Road behind Canterbury East Station so is the perfect location for those needing access to London. 1 Bedroom properties are in high demand in Canterbury and are very popular with young working professionals. The property also comes with that rarely seen allocated parking space! Although the property is on the market with a guide price of £160,000 - £180,000 this property can still achieve a yield of 5.47% if bought at £170,000. This is worked out on a projected rental income of £775.00 pcm. The property generally looks in good condition so should be good to rent out straight away! The Canterbury housing market has gone through a sea change in the past decades with the Buy-to-Let (B-T-L) sector evolving as a key trend, for both Canterbury tenants and Canterbury landlords. A few weeks ago, the Government released a White Paper on housing. I have had a chance now to digest the report and wish to offer my thoughts on the topic. It was interesting that the private rental sector played a major part in the future plans for housing. This is especially important for our growing Canterbury population. and today it stands at 160,000. Currently, the private rented (B-T-L) sector accounts for 30% of households in the city. The Government want to assist people living in the houses and help the economy by encouraging the provision of quality homes, in a housing sector that has grown due to worldwide economic forces, pushing home ownership out of the reach of more and more people. 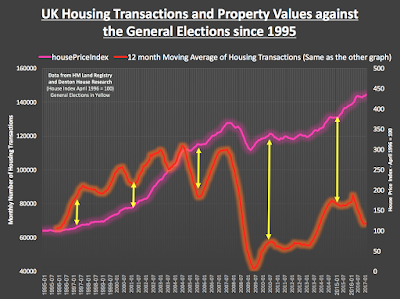 Interestingly, when we look at the 1981 figures for homeownership, a different story is told. The significance of a suitable housing policy is vital to ensure suitable economic activity and create a vibrant place people want to live in. With the population of Canterbury set to grow to 187,000 by 2037 – it is imperative that Canterbury City Council and Central Government all work actively together to ensure the residential property market doesn’t hold the area back, by encouraging the building and provision of quality homes for its inhabitants. Private landlords will not be expected to offer discounts, nor offer 3-year tenancies – but it is something Canterbury landlords need to be aware of as there will be greater competition for tenants. Over the last ten years, home ownership has not been a primary goal for young adults as the world has changed. These youngsters expect ‘on demand’ services from click and collect, Amazon, Dating Apps and TV with the likes of Netflix. 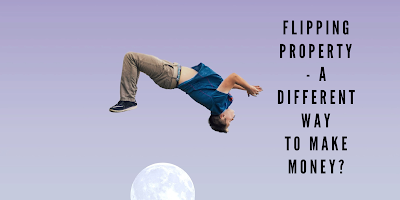 Many Canterbury youngsters see that renting more than meets their accommodation needs, as it combines the freedom from a lifetime of property maintenance and financial obligations, making it an attractive lifestyle option. Private rented housing in Canterbury, be it B-T-L or B-T-R, has the prospective to play a very positive role. Martin & Co are the leading letting agents in many towns and cities through the UK and therefore business owners such as myself are always well placed to comment on the market place. 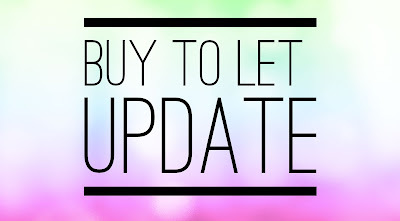 Rather than restrict this information to the landlords that I act for this blog is made available to anyone that is considering investing in Canterbury. On this blog, I will talk about what is happening in the city's property market itself, even looking at specific streets or housing estates. At other times, I will post what I consider decent buy to let deals. Some will be on the market with me (as I also sell property), but others will be on the market with other agents in Canterbury. I like to look at the whole of market and give you, what I consider the best investment opportunities. If you see a potential deal, and want a second opinion, without hesitation, email the Rightmove or Zoopla link to kevin.hall@martinco.com. I will always give you my honest opinion on the property and its investment potential (both good and bad). Investing in property is not all always about the headline return, it can be about the growth potential, the type of tenant that it is likely to attract, likely running costs etc. Sometimes the criteria can be “I wouldn’t buy a property unless I could live in it myself”. Whatever your need I am happy to advise – give me a call or send me an email.